Keeping in line with Benchmade’s desire for functionality before all else, the Osborne is easily one of the most quintessential EDCs out there. While we’re partial to the 940-1 model’s lightweight carbon fiber handles and CPM-90V stainless steel (one of the best knife steels available for edge retention), there are plenty of iterations out there with subtle differences that should easily please everyone. Warren Osborne’s designs are exacting in their execution. From his childhood being raised in the farming and ranching industry, he learned early why everyone should have a great utility knife. 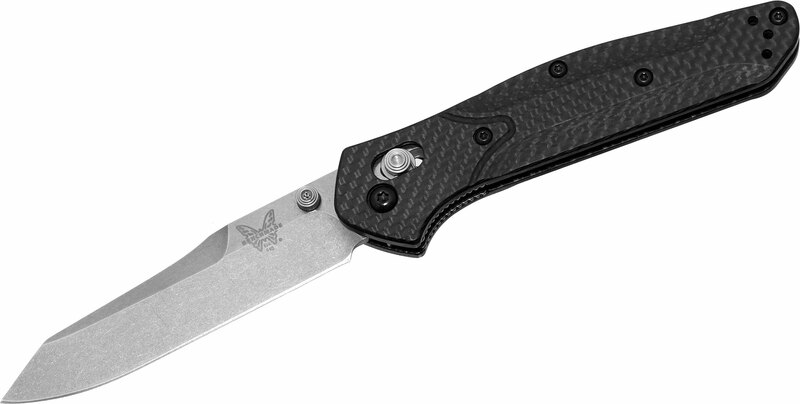 The 940’s handle is slender with a slight curvature and recessed contours for grip stability, and its movable carry-clip makes it another winning ambidextrous Benchmade design. 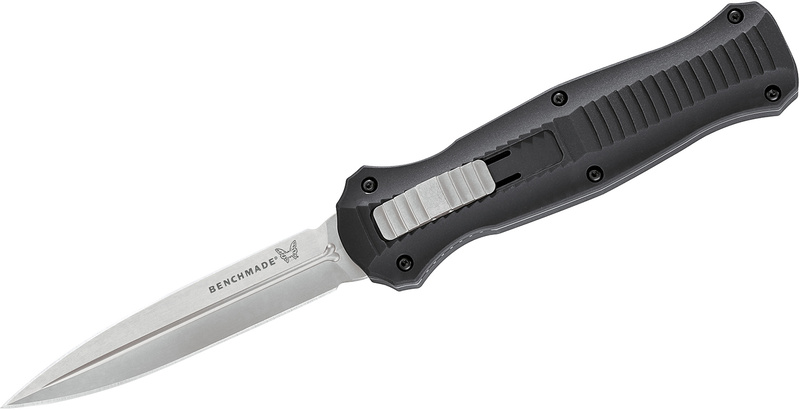 Benchmade borrowed their own patented machined bi-directional tread pattern from the Pardue-designed Presidio for the Infidel. 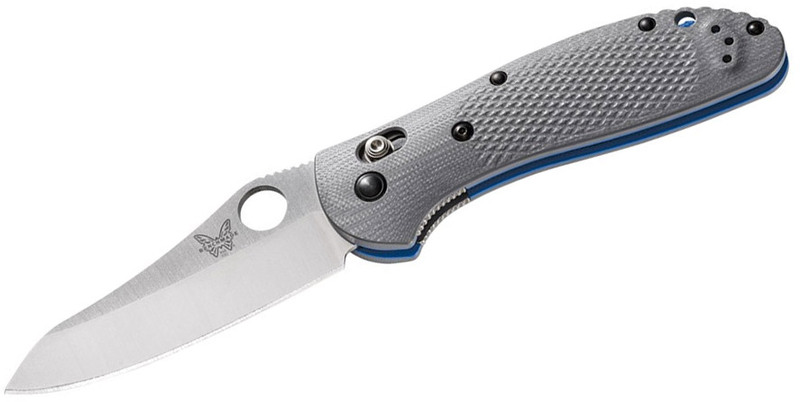 While the Presidio did not make our top five, it’s unsurprising that Benchmade wanted to utilize its rock-solid handle grip for this automatic knife. The Infidel’s three-point retention system gives it a very dependable lockup. 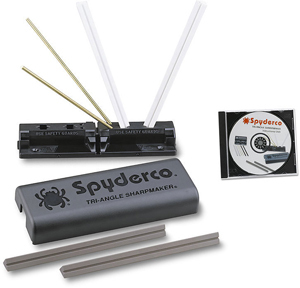 This is easily one of the most widely known OTF automatics in the business. We’re not sure what we like more about the 761 – we’re torn between this model’s premium M390 steel and the smoothness of its action. 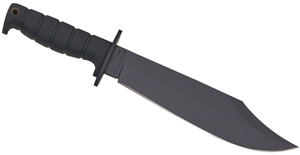 If you’re like us and enjoy hitting up knife forums, you’ve probably heard of the 761 Club. This knife has such an ergonomic design and such sweet action that it has its own fan club. It’s no wonder – its modern and functional design paired with premium materials make this knife worth every penny. While Chris Reeve may have invented the winning combination of titanium frame lock paired with super steel blade with his Sebenza, the Benchmade 761 is one of the best of the style you can get today. Considering Benchmade’s beginnings as a purveyor of balisongs, it’s no surprise we’ve added their best butterfly knife to our list. 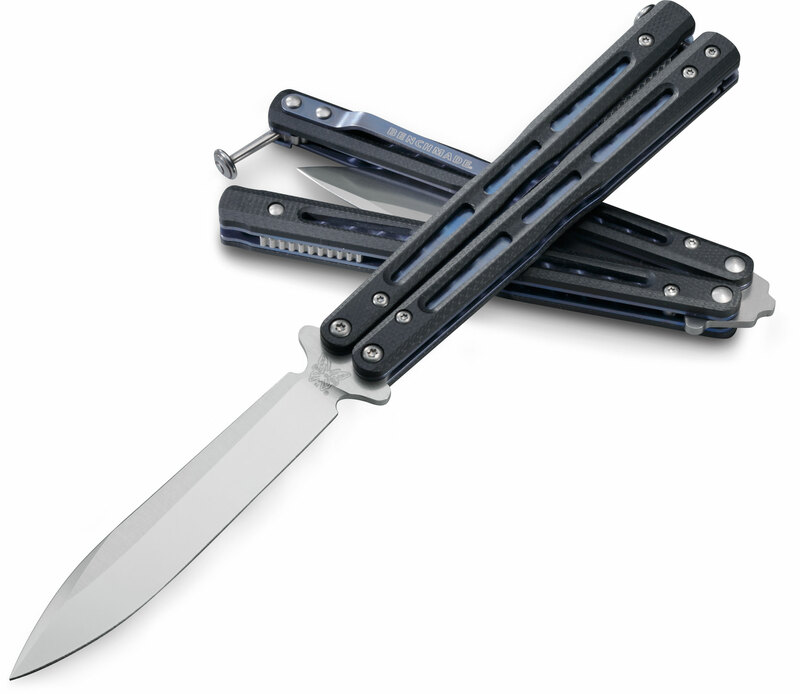 The 51 Morpho raises the bali bar quite a few notches with its patented liner-sprung latch and solid, machined G10 slab construction on jeweled ti-liners. The blade’s practical shape is detailed with a crowned spine, and the heat-treated kicker pins are going to keep this balisong rockin’ for as long as you can flip it. Benchmade may not be Balisong, Inc. anymore, but this knife proves that they’re still the top of the butterfly knife game. There are, of course, a few honorable mentions that didn’t quite make the top five. The Proper Slipjoint is great for those looking for a non-locking blade with some serious gentleman’s knife classiness. The Bugout is another classic EDC that incorporates the lightest, best performing materials in an extremely slim, ergonomic package. 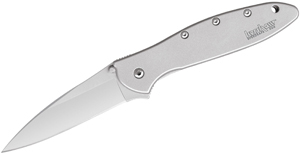 We love the Nakamura so much that we even got a KnifeCenter Exclusive variation, so obviously we’re fans. Who thinks we nailed this list? If you had to pick one, which knife earns the number one spot? Let us know over on our Facebook, Instagram, and Twitter – then share your top five with us so we can compare!